The CEO of Gary-Buchanan Enterprises has 30 years' managerial and executive experience in higher education. Her experiences have included program development, implementation and assessment; strategic planning; staff selection, evaluation and development; program accounting; bursar duties; housing department management, custodial and maintenance oversight; and grant program administration and/or oversight. She also has experience in proposal writing, self-studies for accreditation, principal investigator of federally funded programs, and grants reviewer for federal competitions. Buchanan holds bachelors, masters, and doctoral degrees. 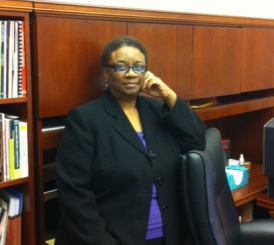 In addition to her formal education in Mississippi, Iowa, and Oklahoma, Dr. Buchanan of Women Leaders in the Office of Women in Higher Education with the American Council on Education, the Harvard Institute for Management and Leadership in Education (MLE), the American Council on Education's (ACE) Fellows Program where she was hosted by the Mississippi Institutions of Higher Learning, the Millennium Leadership Institute of the American Association of State Colleges and Universities (AASCU), and the Executive Leadership Summit at Hampton University, Virginia. Using her years of experience, education and expertise, Dr. Buchanan assembles groups of experienced professionals to provide a variety of services to individuals and to for-profit and non-profit clients.